It’s never been easier to create faux paint finishes that have that old antique wood finish look. 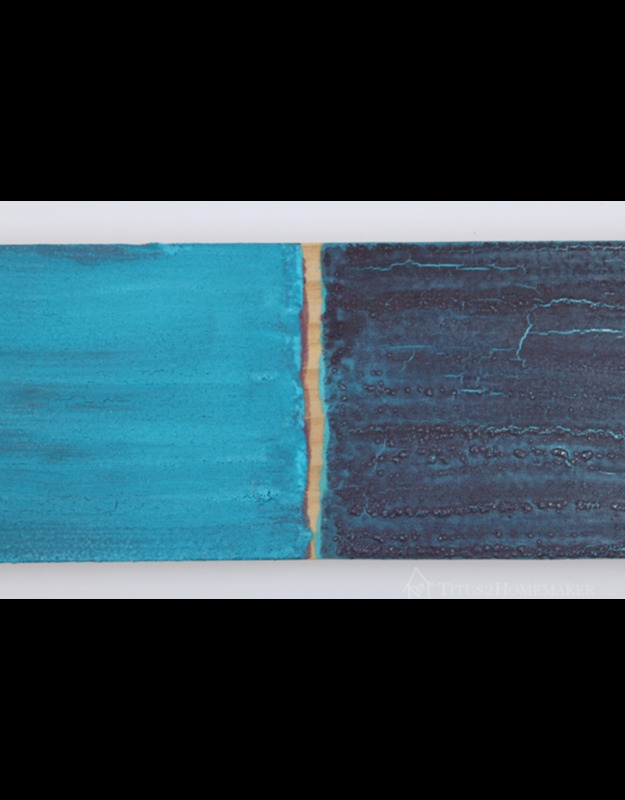 You can create a heavy “alligator” crackled look or very fine hair line crackle glass cracks. 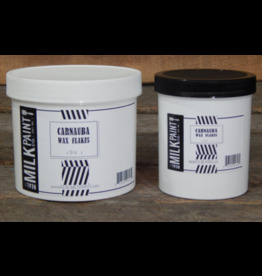 Crackle paint is great for faux painting kitchen cabinets and unfinished furniture or for kids craft projects. 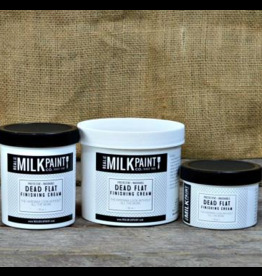 Natural Crackle by The Real Milk Paint Company is a natural non-toxic biodegradable gelatin. It can be brushed or rolled and dries to a clear satin finish. 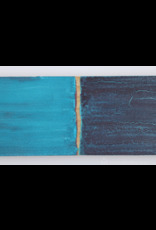 Natural Crackle is a collagen adhesive so you can use it to repair wood furniture, glue paper, cardboard and leather. Natural Crackle is a product that can achieve many different looks with different variations in the application. Below are some methods. Apply one coat of Natural Crackle over the coat of milk paint you want to show through the cracks. Allow each coat to dry. 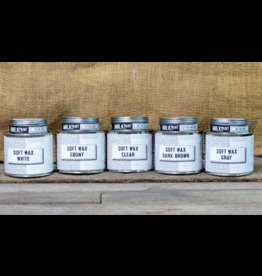 The final coat of Real Milk Paint® can be applied over Natural Crackle when it is dry. Apply one coat of milk paint over Natural Crackle. When the finish is dry, it must be sealed with an oil base topcoat. Pure Tung Oil, Dark Raw Tung Oil, varnish or lacquers are suitable sealers. Very wet water borne finish may ruin the work. 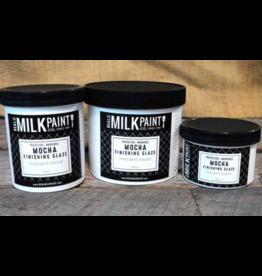 Our Finishing Creams and Finishing Glazes work well as top coats. Note: Thinning Natural Crackle with water can produce even smaller cracks. Apply two coats of Natural Crackle over the coat of milk paint you want to show through the cracks. Allow each coat to dry. 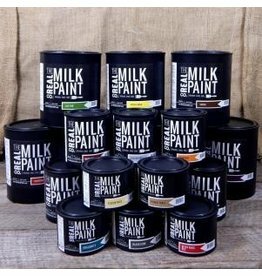 The final coat of Real Milk Paint® can be applied over Natural Crackle when it is dry. Apply two coats of milk paint over Natural Crackle. The first coat of milk paint will still be wet but dry enough to accept a second coat. When the finish is dry, it must be sealed with an oil base topcoat. Pure Tung Oil, Dark Raw Tung Oil, varnish or lacquers are suitable sealers. Very wet water borne finish may ruin the work. 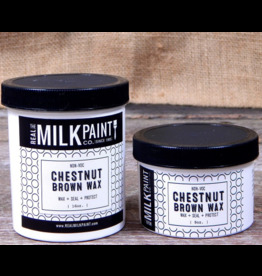 Our Finishing Creams and Finishing Glazes work well as top coats. Will adhere to many surfaces, i.e. : wood, paints, varnish, metal, glass, drywall, previously painted surfaces.